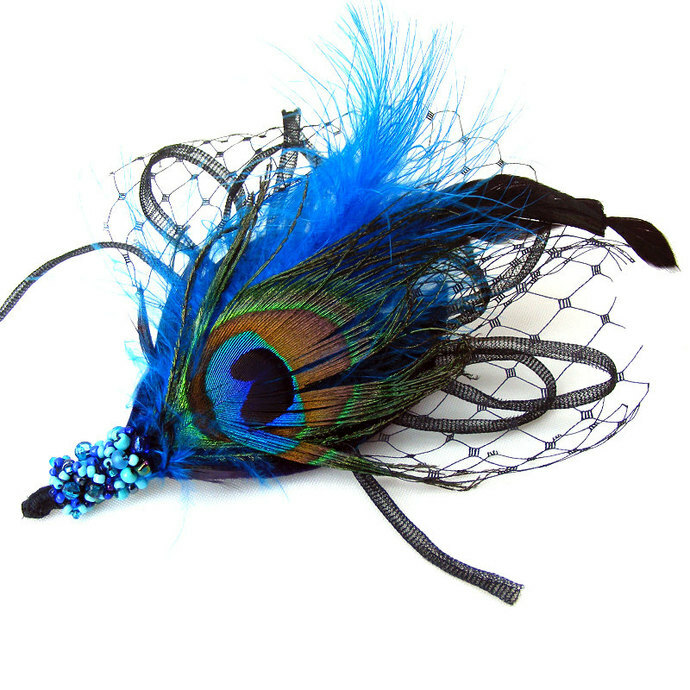 Beautiful Peacock Feather, long black feather, blue teal feather, Black veiling is hand stitched to the base of the hair clip. 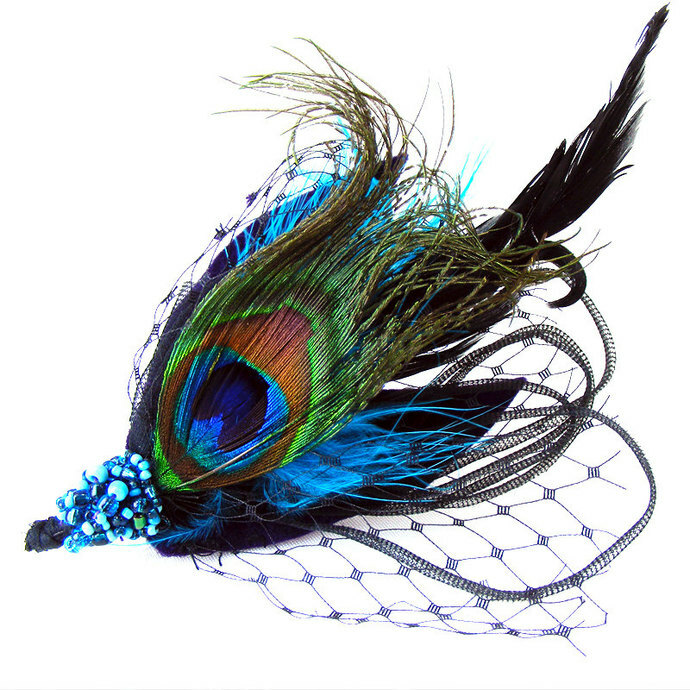 Tons of colored glass beads (hues of blues, greens) adorn the end of the feathers. 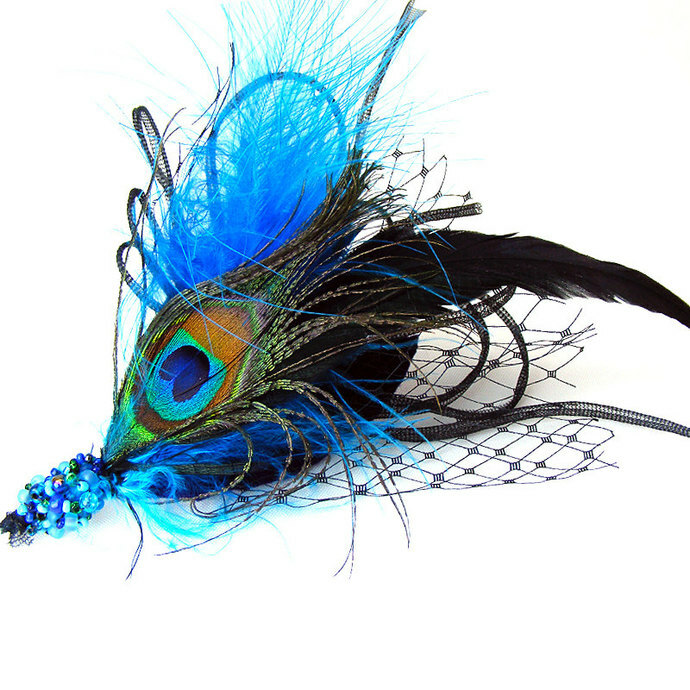 This beautiful hair clip is ready to adorn your hair and for you to show it off. This piece measures approx. 5 1/2" Wide by 7" Long (from the tip of the beads to the tip of feather).